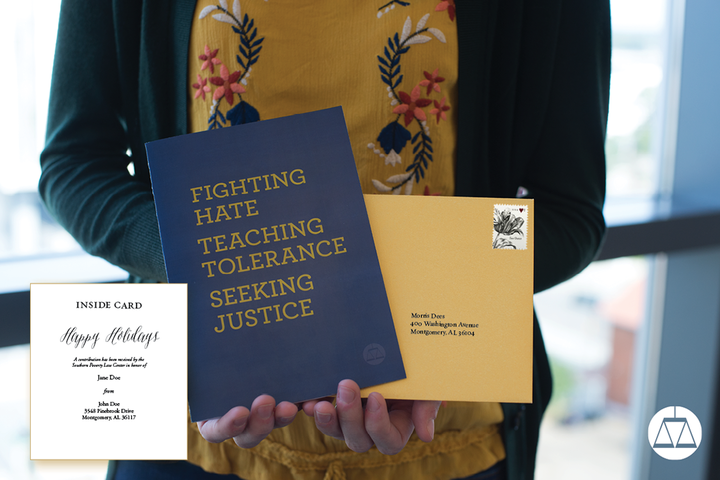 Make a tribute gift in honor of a friend or loved one and we will mail them a limited-edition embossed holiday card from you (there is a $50 minimum donation). And, all donations will be matched dollar-for-dollar through December 31. Update: Holiday cards will be available for the rest of the year, but we cannot guarantee delivery before New Year's Eve. Please enter who you're honoring (tribute name), select the tribute type, and tell us where to mail the card (you'll need to check the box). Please include a brief message (we will print “Happy Holidays” inside of the card).